Marcus and Elizabeth Telford Dear Peter, Just wanted to say thanks again for your great service and workmanship. We are overjoyed with our newly mounted pocket watch. A truly perfect keepsake. Thanks again, Liz. 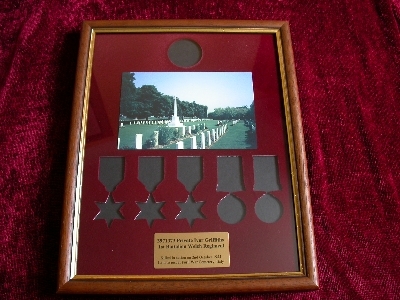 Kath Morgan Hi Peter, Your frame has been received and I have positioned the medals. My father, as expected was extremely moved and wishes that I pass on his thanks to you. Thankyou so much for your time we are all very pleased with the frame and service that you have provided. 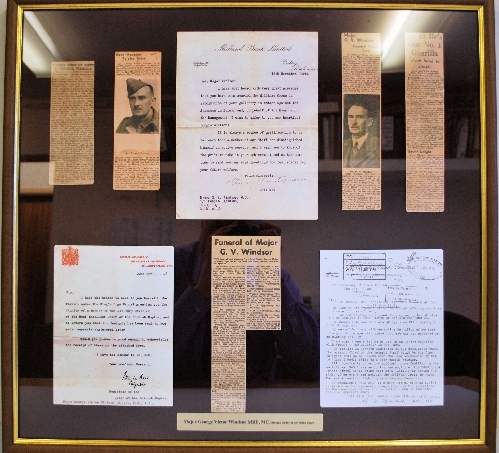 Denis Firmin Dear Peter, Everything went brilliant, I am so pleased with them as you can see from photographs attached. Cheque will be in the post tomorrow and worth every penny. Testimonial I am so pleased with the frames, work magnificent, prompt delivery, even though they were a challenge for you. I have had four done now and have been really pleased with them all. Highly recommended. A very big thank you from all the family. 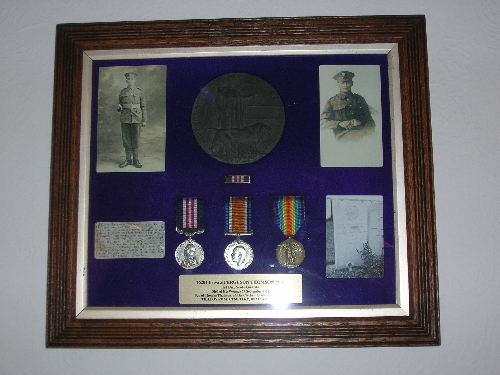 I took the frame, with all the medals and photo, to a big family gathering and showed it to my dad, mum, uncles and aunts and they were very impressed by it. There were a few tears because some of them had no idea that i had the medals or were thinking of having them framed. I then gave it to my dad as a present. 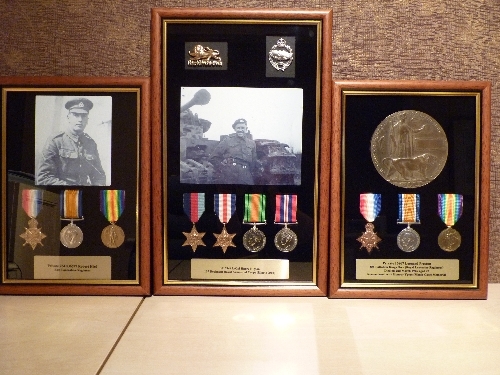 So if anybody is thinking of having some medals framed, then they should choose you, because i am going to again. 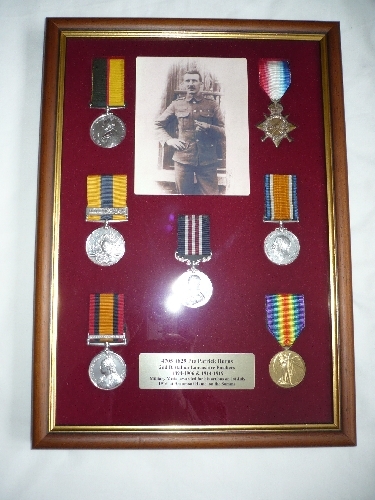 Also, my uncle was impressed by it, he wanted to know if you could make an copy with replica medals. 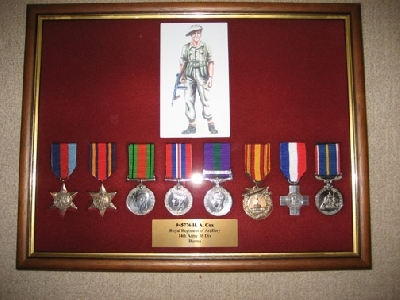 These would include the POW and British forces in germany medals. Peter, feel free to use any of this text for your website if its suitable. Thanks again Andrew A happy customer. 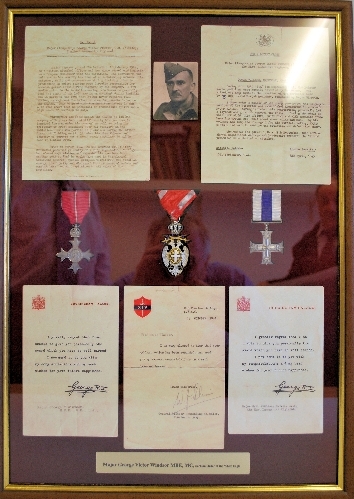 Jack Hodder poppy medal framing offers a highly professional service that is second to none. 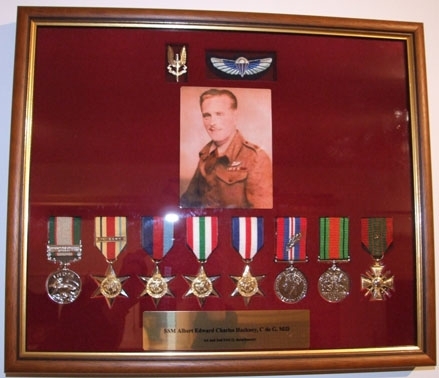 Their high quality frames offer the medal collector the extremely satisfying ability to display their collection with pride. many thanks. Jack Hodder. D Elderton We are very pleased with our order. It is very well made, value for money and has a personal feel to it. It is exactly what we wanted and is a touching tribute to our relative. well they work in the frame. 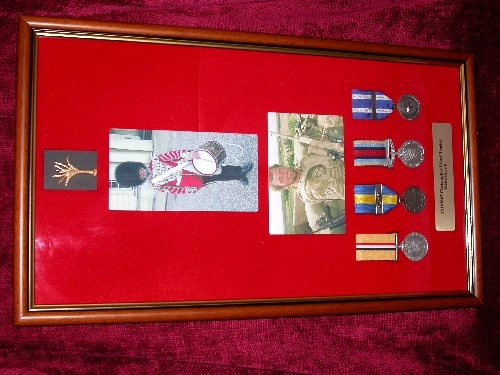 I would like to take this opportunity of showing my appreciation to you for providing me with such a high standard of service,the frame is very well made,it is exactly what I wanted and I shall be happy to recommend your services to anyone. I would also like to thank you for all your help and advise when I phoned on more than one occasion. 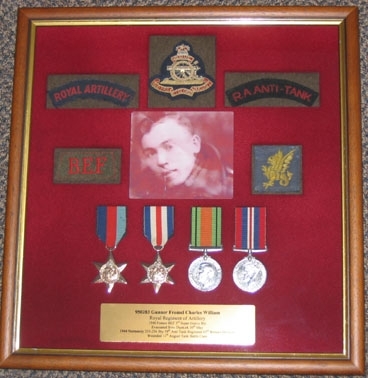 Attached is a photo of the frame with my late father\'s Army Medals,Shoulder Flashes and Patches displayed so that you can see for yourself how impressive it looks. I wish you every success in the future. displayed for ourselves and future generations to come. I do thank you again. feel free to use them on your website etc. or where ever you think fit. 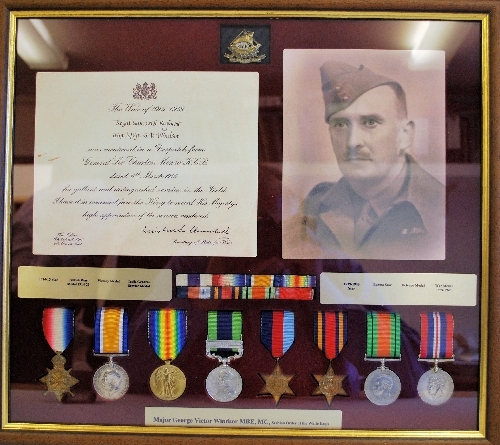 Dave Dobson My grandfather\'s framed medals looked so impressive that we had no hesitation in re-ordering in respect of my wife\'s grandfather. 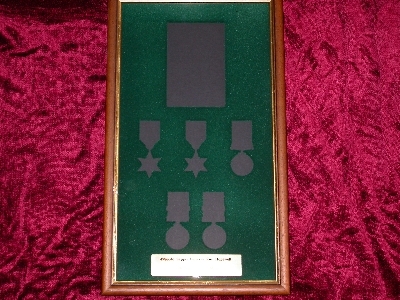 Third frame now ordered for my father\'s WW2 medals. 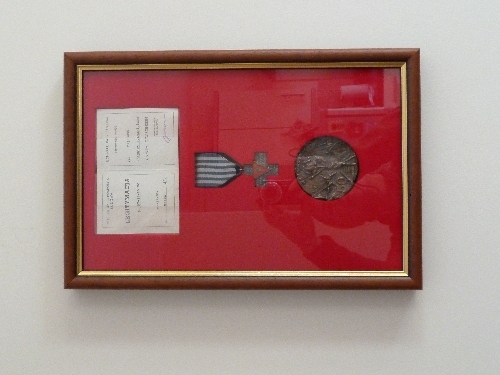 Just to say thank you for the medal frame, its now taken pride of place on our landing wall. 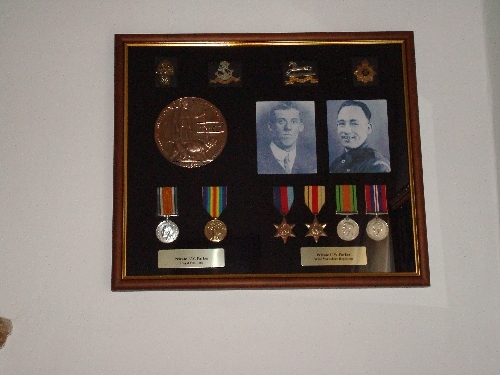 It was nice to find Poppy Medal Framing as I had meant to do something with Grandad\'s medals for long time. Also being such a fussy so and so it is good to find a company happy to go along with my design and produce such a high quality product, satisfying even me! 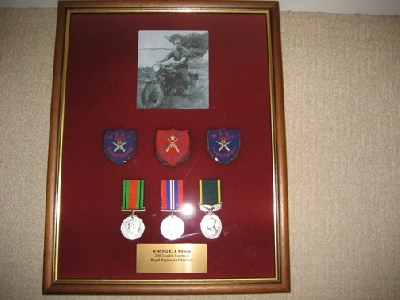 I don\'t hesitate to recommend your services to anyone looking to frame medals and produce a real conversation piece such as mine. British Quality Foundation The British Quality Foundation was looking for a way to present and display its prestigious annual BQF Gold Medal for Excellence. 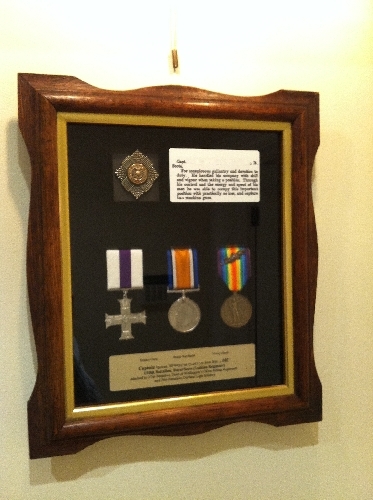 Poppy Medal Framing were able to quickly prepare a frame and presentation board to our exact specification. Great product and service � we�ll be using you again for next year�s Awards! 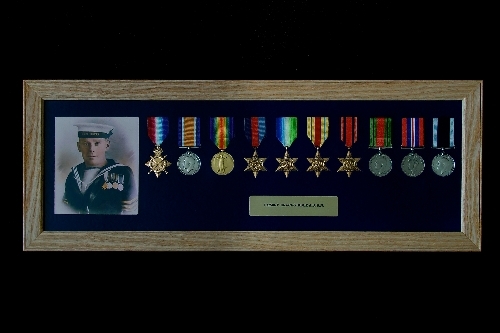 (We produced all of the photographs and original newspaper citation and nameplate on metal plate and the Memorial Plaque and MM, Pair are our age toned replica medals. 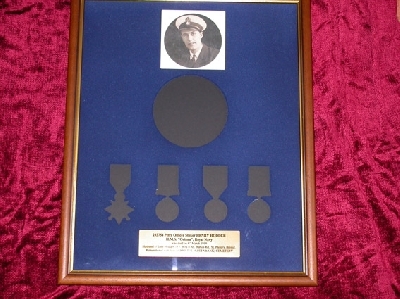 memorial medal wanted something respectful and this has been more than achieved. Many thanks. I will be back when I need something which is made to order.